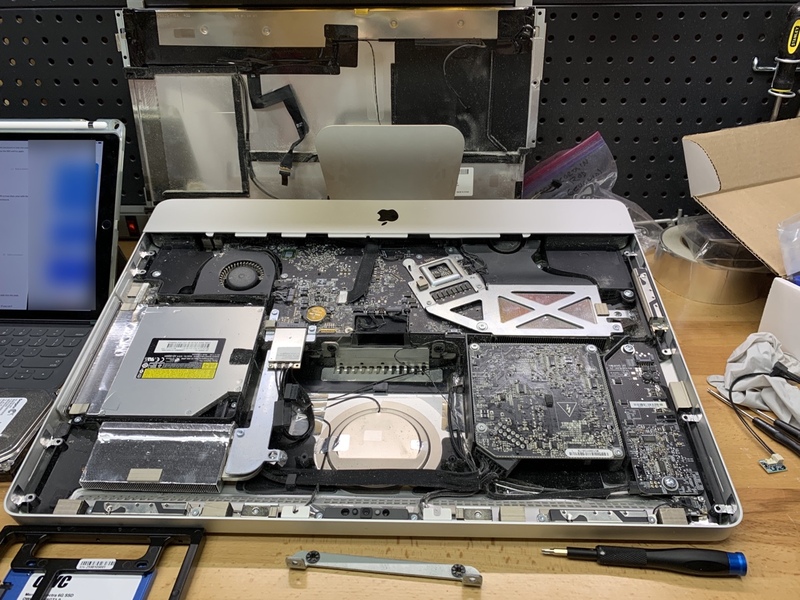 Replaced very slow, very old hard drive in this ancient iMac with a new SSD drive. I think it might be 50x faster now. A few months ago I decided to move my life off Google. I felt uncomfortable using a company where their client is the advertiser and not me—I want to be the entity that the company worries about keeping happy. Mail was a bigger issue. Apple’s iCloud was not a good solution in that case because I maintain a couple of different email accounts and use my own domains. Apple’s iCloud mail doesn’t support personal domains. So I poked around a little and found FastMail recommended by a few different people. I was a little hesitant because they had been purchased recently by Opera as a backend for Opera Mail and many people seemed to be complaining. But a careful reading of all the complaints showed that the complaints seemed centered almost entirely around an updated web interface. I planned to primarily use Apple Mail and iOS Mail to connect, and thus proceeded ahead. FastMail offers a free trial and after a brief time with my two accounts I ponied up my $80/year for two enhanced accounts. I was happy. FastMail offers many features and pretty good spam detection. Then one day I couldn’t access my accounts. I waited a bit thinking there was just some burp on the backend, but my access did not come back. I did some testing and discovered all my email was bouncing! Thankfully, I am a technical guy and I knew how to change my domains’ MX records so that my email was directed back to my Google accounts for the time being. I “only” lost about 8 hours worth of mail by the time I got things redirected. Your FastMail account was recently detected sending bulk/duplicative/spam emails. […] Consequently your account sending has been locked. If you can ensure that you would not use your account for further bulk mails, we’ll be happy to unlock your account. If not, we suggest you look for another provider. They did not simply lock my account “sending”. I confirmed that my email was bouncing. I was actively losing mail while they had my account locked. They did this with absolutely NO notification. I had to discover it on my own and send a query to FastMail about it. It took them 4 hours to respond to my query. I have no idea what they “detected”. My accounts were secured with very good, random passwords. I had used the same email addresses on Google for years and never had a problem. Despite asking about exactly what was detected, I never got an answer from them. I am quite certain at this point that nothing was hacked. They locked both my accounts. They were totally separate accounts, with no overlap whatsoever. It’s highly doubtful both individual accounts suddenly started demonstrating at the same time whatever problem they detected. The accounts seems to have been locked due to suspicion. Could you please let me know exactly what you use the account “xxxxxxxx@fastmail.fm” for? What kind of emails do you send/receive in that account? Again, I responded immediately and explained that they are purely personal accounts. I also expressed my severe disappointment about how this had been handled to this point, particularly since email was being rejected. If my accounts has simply been locked but were still at least receiving email and just preventing me from sending, that would have been quite a bit easier to swallow. Your accounts have now been unlocked. That’s it. Three days of totally broken email and I get no explanation for why it happened or assurances that it won’t happen again. To their credit, they did refund my $80 (supposedly when they first locked the accounts) and told me they would not charge me again for the year, giving me free use for the year. But at that point I was extremely reluctant to continue using them. Their support was slow to respond and the fact that I could potentially have been bouncing email for nearly 4 days is unacceptable. Despite liking some of the FastMail features (and having free use for a year), I vowed to drop them and move my email elsewhere. During my down time I started looking at other services and decided to try PolarisMail. They are cheaper ($48 for my two accounts), offer more storage, and their support responses have been extremely fast and helpful. So far so good. They even have a special offer for FastMail users right now since they’ve found so many people jumping ship over to PolarisMail lately. They also specifically said in answer to a query from me that they would never block an account from receiving mail, and only block from sending if suspicious activity occurs, which is exactly what FastMail should have done in the first place. I have done a lot of experimenting in this arena and am very happy with my TomTom 2535M. I don't travel much, but so far when I do my iPad's Verizon connection has been useless or nearly so. My AT&T phone always connects. @scrooks Your PRL is up to date if you use the prepaid on the iPad. The only way to get a better signal is add it to a monthly statement. @scrooks Verizon has fewer partner towers that you get access to on prepaid accounts,that’s why you have a worse signal than a VZW iPhone. This guy seems to know what he’s talking about and frankly, that stinks. You want the good Verizon service? Sign up for a monthly plan, sucker. Unfortunately for me, our family has AT&T iPhones. I still think they should make this more clear. I now have the AT&T Mobile Share plan, so I’ll be getting an AT&T iPad regardless. A couple guys I went to elementary school and college with are in town for a few days. These are the guys who I spent a lot of time with in a basement playing D&D instead of being a normal kid. Today we hung out together and ended up back at the same house (his parents still live there) where we spent most of our basement time. There have not been a lot of changes made to this basement. The same couches that were there 30 years ago when we played D&D are still there. It’s really kind of fun to look around and see all the old stuff still sitting around. I knew this to be the case as we were headed down to the basement and I jokingly asked if his old TRS-80 Color Computer was still down there. It’s there in the exact same spot from 30 years ago. It was not actually plugged in to the ancient tube TV sitting next to it or I would have turned it on. This is from the days when you got a really terrific, thick book with the computer about how to program it to do things. 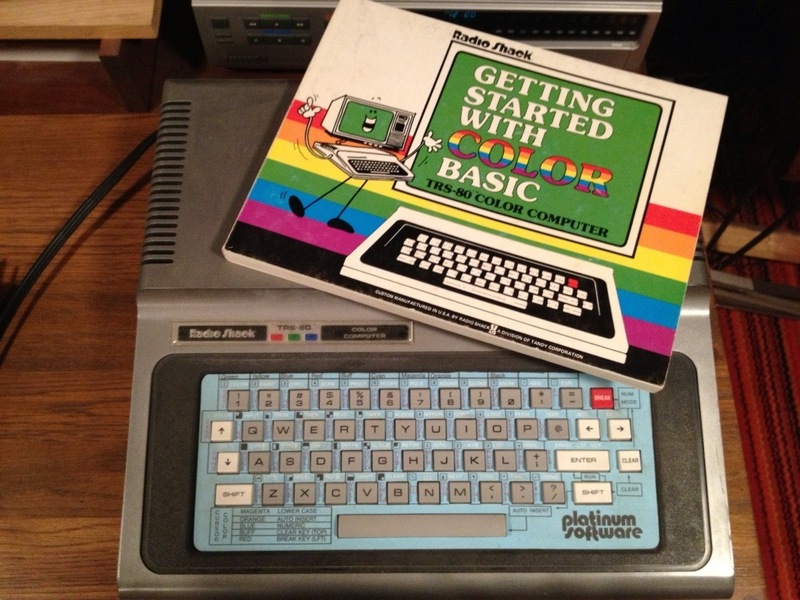 Many of us learned how to program with these TRS-80 Basic books. For kicks, I opened the drawer under the computer. 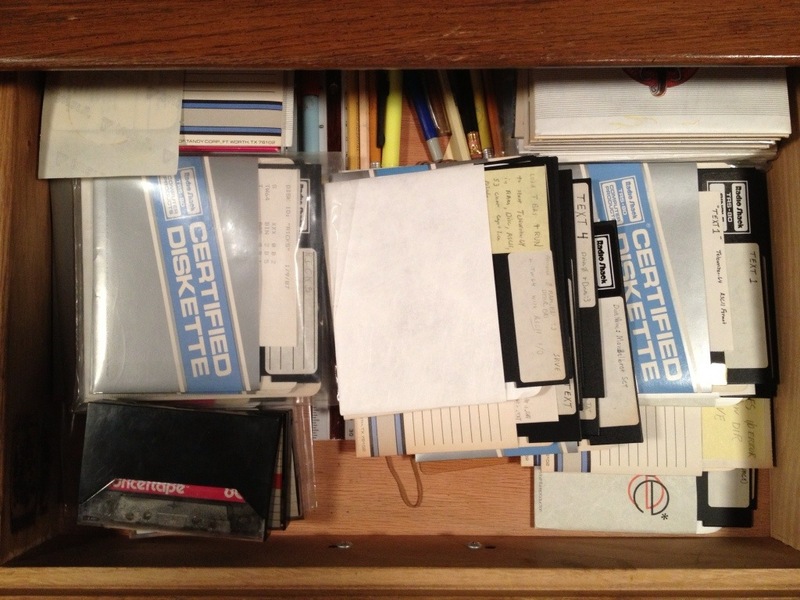 Of course, there were all the floppies and tapes that went along with it. The more I think about it, the more I want to go back and see how much still works. Oh great, a new gadget to resist purchasing. 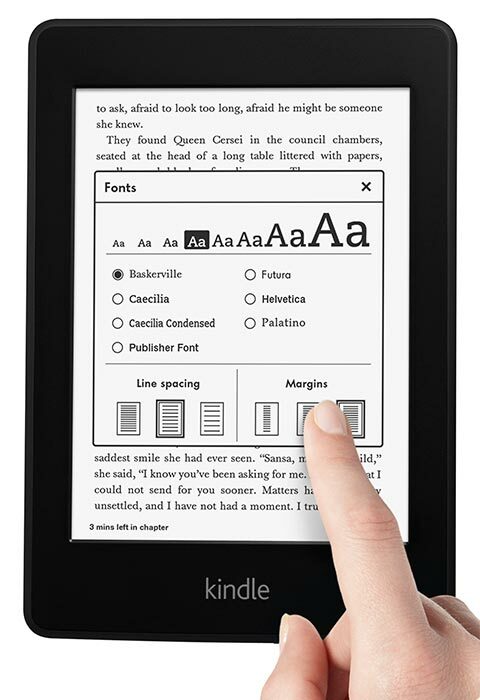 Today Amazon introduced the Kindle Paperwhite.